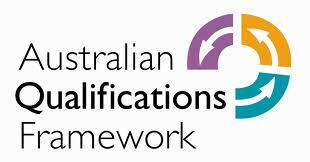 The Australian Qualifications Framework Council, which was responsible for governance of the Australian Qualifications Framework, has been disbanded. No public announcement was made. The council was originally established to deliver a review of the AQF, which culminated in the strengthened AQF. With this work completed, the government says it was timely to reconsider the role of the council. Stakeholders have been advised that the decision does not diminish the government’s commitment to the AQF, the residual functions of the council will be transferred to the Commonwealth department of education. Expert consultative bodies are to convened as required to advise ministers on any AQF policy matters which arise. During a revision of the AQF in 2010, the council was embroiled in a dispute with a number universities, led by the University of Melbourne, over plans for universities to rebadge some masters level courses as “professional doctorates”, such as the Juris Doctor, which they argued accorded with international practice. The AQFC argued it would devalue the standing of the traditional PhD qualification. It was eventually agreed that the title “doctor” by graduates of masters degrees, in five disciplines : medical practice, physiotherapy, dentistry, optometry and veterinary practice (although the Juris Doctor is now offered by most universities with post-graduate law degrees). The University of Western Australia is seeking extension of professional doctorate to its Masters of Podiatry.